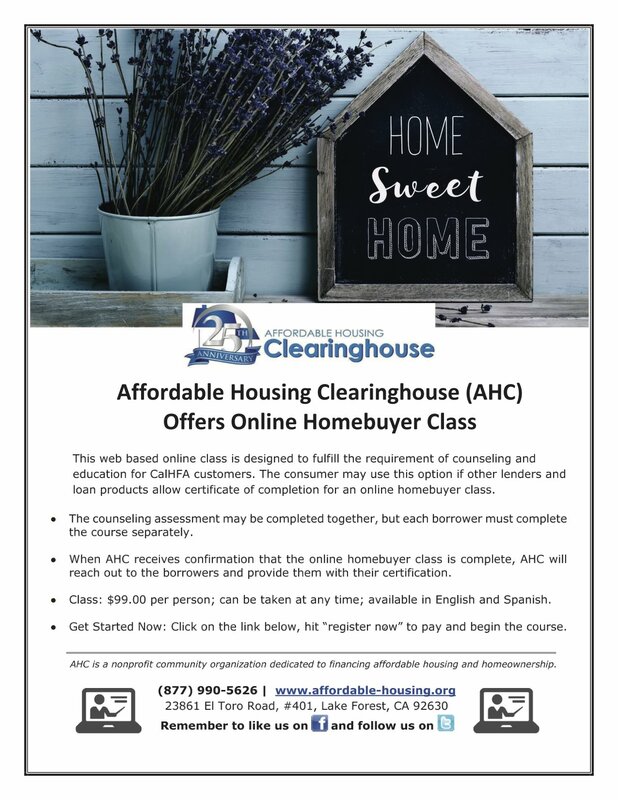 As a HUD approved housing counseling agency, Affordable Housing Clearinghouse provides homebuyer education, financial literacy workshops, and one-on-one housing counseling. 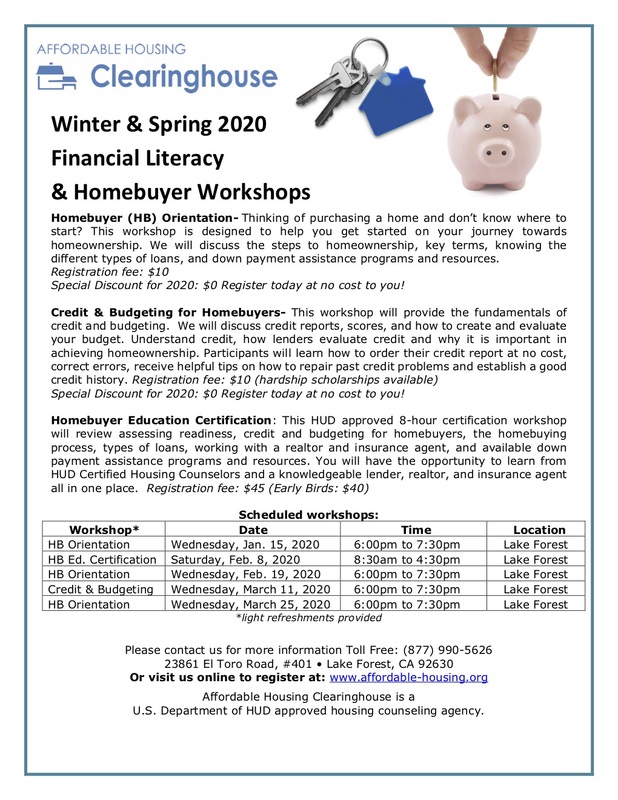 A great way to get started on your journey to homeownership is by attending a homebuyer education workshop. Special Discount for second quarter of 2018: $0 Register today at no cost to you! This workshop will provide the fundamentals of credit and budgeting. We will discuss credit reports, scores, and how to create and evaluate your budget. Understand credit, how lenders evaluate credit and why it is important in achieving homeownership. Participants will learn how to order their credit report at no cost, correct errors, receive helpful tips on how to repair past credit problems and establish a good credit history. This HUD approved 8-hour certification workshop will review assessing readiness, credit and budgeting for homebuyers, the homebuying process, types of loans, working with a realtor and insurance agent, and available down payment assistance programs and resources. 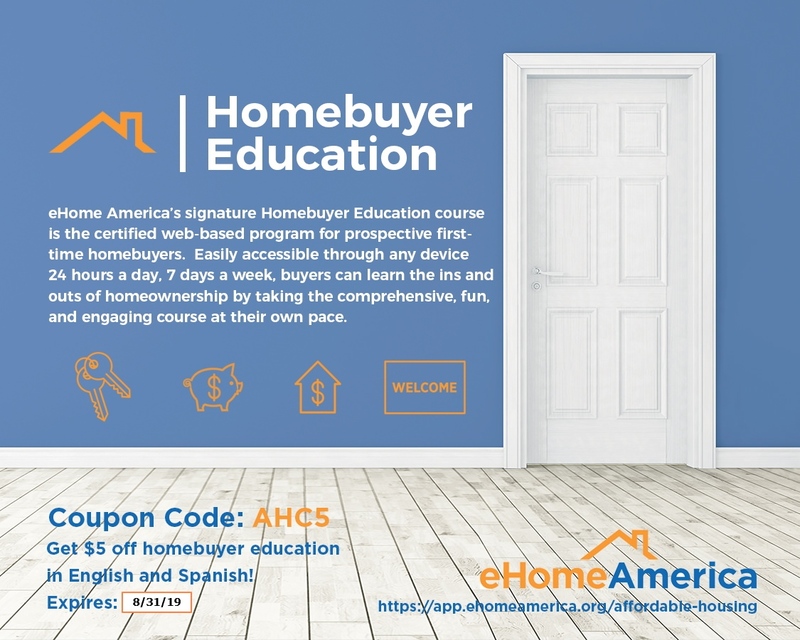 You will have the opportunity to learn from HUD Certified Housing Counselors and a knowledgeable lender, realtor, and insurance agent all in one place. Serving Southern CA for Nearly 30 Years. Affordable Housing Clearinghouse is a non-profit organization that provides financing for affordable housing and homeownership.